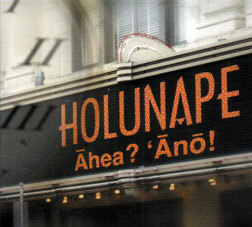 Holunape's long-awaited debut album, "He'olu," won two major Na Hoku Hanohano awards in 2006. The high quality of their second release makes them front-runners for similar recognition in 2009. It would be an excellent choice next year for voters at the Grammys, as well. The trio -- Kama Hopkins, Kekoa Kaluhiwa and Kanai'a Nakamura -- honors tradition with their acoustic instrumentation, smooth Kamehameha School harmonies and their choice of material. They bring it forward with new compositions. The first selection does both. Hopkins adds lyrics to an Alvin Isaacs classic to create "Ahea No Ho'i La?/'Ano!" -- answering Isaac's question ("When?") with a self-assured answer: "Now!" The resulting medley presents them in top form as vocalists and musicians, and gets the album off to a rousing start. "E Maui E," another Hopkins composition, pays homage to the pre-Christian culture of Hawaii in recalling the exploits of the famous demigod. Nakamura compares a special lei to a cherished friendship with his contribution, "Pakalana Ke Aloha." The guys go hapa haole with "Lanikuhonua" and "Hula Lady," and show their affinity for comedy as they place a call to Jesus on "Operator," the Manhattan Transfer hit from the 1970s. And yes, there are also selections that feature them each as solo voices and others that show off their falsetto harmonies. Ryan Gonzalez (lead guitar) and Jeff Au Hoy (steel guitar and piano) join in on several songs. An illustrated liner notes booklet completes this Grammy-worthy album with the Hawaiian lyrics, English translations and background information. 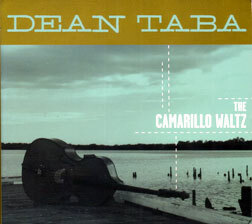 Dean Taba lays out his credentials as a modern jazz traditionalist with this collection of 10 original instrumentals. Taba can play the electric bass guitar, but his use of acoustic bass exclusively on this project gives it a solid traditionalist foundation. In short, this is beautiful instrumental jazz for all generations -- you, your father, and any other jazz fans in the family. Taba opens one song with a laid-back solo and steps into the spotlight on several others, but this is, above all, an ensemble project. The keys, saxes, brass and drums get their fair share of lead time, as well. DVDs are becoming the "albums" of the modern record industry. 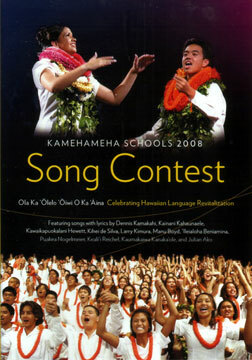 This one showcases traditional Hawaiian choral singing as perpetuated at the Kamehameha Schools, celebrating the survival of the Hawaiian language, this year's theme. The ho'ike performance comes from Puakea Nogelmeier's recently published "Hi'iakaikapoliopele." The choral performances are beautiful in and of themselves, and some of the featured performers seem destined to become prominent in the future. Although producers did not add subtitles -- in either English or Hawaiian -- this is a great buy for anyone interested in Hawaiian choral singing, chant and hula.